Cybersecurity: Who is Watching You Online? 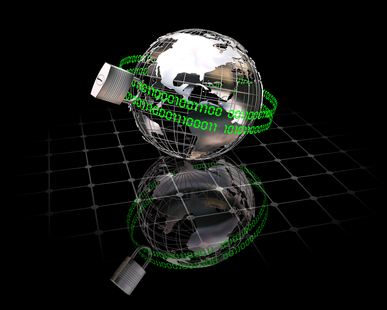 The recent news involving the NSA and the implications for online privacy have put cybersecurity in a brand new light. Whenever you hop online with your Web browser of choice, chances are someone somewhere is keeping tabs on your Internet surfing habits. More than 85 percent of adults use the Internet, according to Pew Internet, and a variety of people are eager to collect their personal details—whether it’s to better track their shopping habits or to sell the data to a bounty of rogue marketers, debt collectors or even hackers in search of a ripe target. The vast majority of online tracking is done courtesy of “cookies” and “beacons”—tiny files that appear on your computer whenever you visit a website. While these files are intended to help your computer remember things like login details, organizations can use them to do things like create targeted advertising campaigns based on your browsing habits. Third-party tracking files are among the most intrusive of the breed. These files assign a unique ID number to your computer, enabling the creator to build a substantial profile based on your visits to affiliated websites with the same technology. This allows retailers to provide predictive marketing based on consumer shopping habits. Forbes notes how this already resulted in one case where Target figured out a teen girl was pregnant long before her father did. Some tracking companies go as far as hiding these files in advertisements, free software and even other tracking files. Despite the growth of the digital security industry, it’s a field that generates a surprisingly small amount of interest from today’s young job seekers. A recent Raytheon poll found that only 24 percent of recent graduates have an interest in cybersecurity as a career. But that doesn’t mean people aren’t interested in enhancing their privacy by monitoring and curbing the usage of cookies and other tracking data. Mozilla, the company behind the Firefox browser, recently unveiled an add-on that sheds light on how first and third-party websites track and collect your data. Lightbeam creates a real-time graphic visualization of third-party entities on the sites you visit. This gives you an opportunity to see who’s collecting your data, how it’s being collected and where they connect to your online activity. In keeping with consumer desire for enhanced privacy, the data Lightbeam collects and displays is stored locally on your computer by default, according to Mozilla. With identity theft a constant and prominent concern, companies like LifeLock provide a service to those looking to keep their credit ratings safe from fraud. For a small monthly fee, the company keeps an eye out for potentially fraudulent applications for loans, credit cards and other lines of credit and alerts customers to these attempts. The company’s confidence regarding its identity theft protection services extend to its $1 million guarantee in the event of a successful theft.